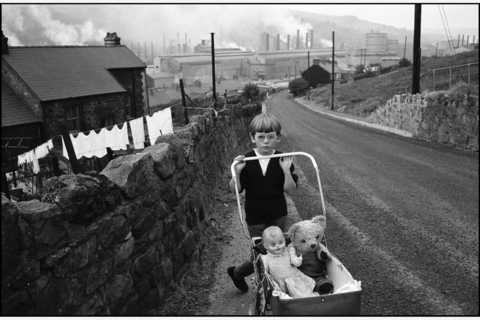 Bruce Davidson is one of the most important photographers in the USA; many of his pictures have made history. He has an unerring eye, is empathetic, sensitive and critical, but always respectful towards the people he portrays. Whether Brooklyn Gang, Circus, East 100th Street, Subway or Time of Change, many of Davidson’s series have entered the canons of the most significant reportages and reviews of everyday life in the USA. Committed to a very personal view of reality, Davidson’s style is unmistakeable. His imagery is defined by a unique mixture of proximity and distance, curiosity and nonchalance, documentation and solicitousness. With his sensitive portrait series, he time and again manages to offer amazing insight into milieus otherwise inaccessible to most viewers. The foundation of Davidson’s work is based on an interest in life and an open attitude towards his surroundings, as well as trust and respect, making him one of the leading representatives of humanistic photography. In honour of his life’s work, Leica is inducting Davidson into the Leica Hall of Fame. 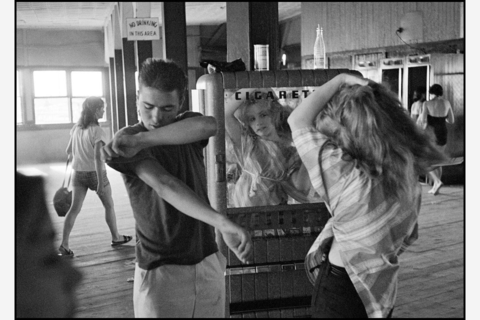 Bruce Davidson was born in Oak Park, Illinois, in 1933. He started photographing when he was ten years old. From 1951 to 1954, he studied at the Rochester Institute of Technology, after which he worked as a laboratory assistant at Eastman Kodak. In 1955 he studied at the Yale University School of Design. He became a full member of the Magnum Photos Agency in 1959. His first solo exhibition was in 1963 at the Museum of Modern Art, New York. He has also worked as a film director, had numerous exhibitions and received many awards. Davidson lives in New York.